I've been holding onto this interview like a precious, secret jewel, waiting for the right moment to present. 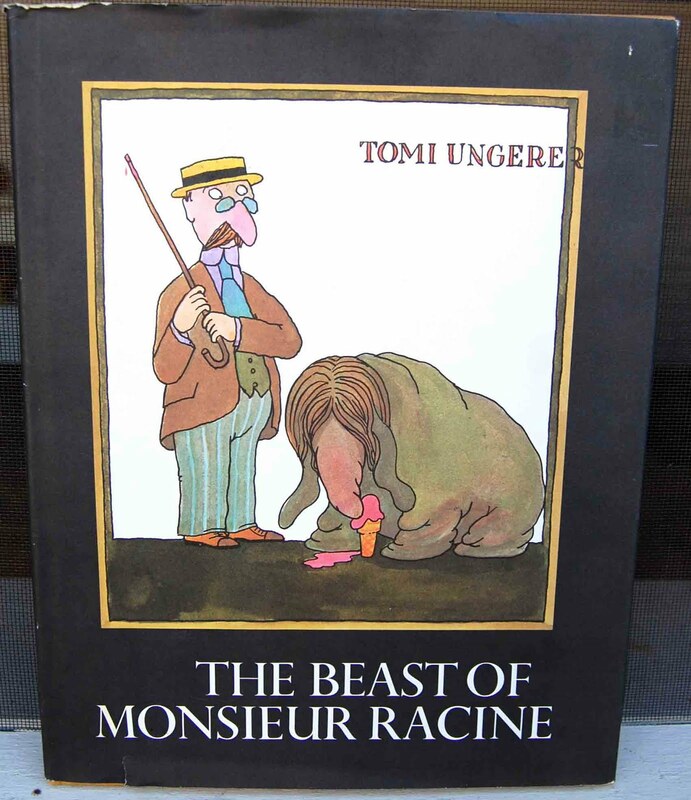 As anyone who reads this blog knows, I am quite possibly Tomi Ungerer's number one admirer when it comes to his work for children. The French illustrator has written more than 140 books, some for children -- some definitely NOT for children, but all full of wildly imaginative ideas and illustrations. With the new documentary of his life in theaters (Far Out Isn't Far Enough) and the release of a brand spanking new book for children (Fog Island) he's making the rounds (he'll be on NPR's Fresh Air later today), so I figured now was as good a time as any to share my little secret. Last year, Tomi was kind enough to sit down and answer some of the questions I've been dying to ask him over the years. 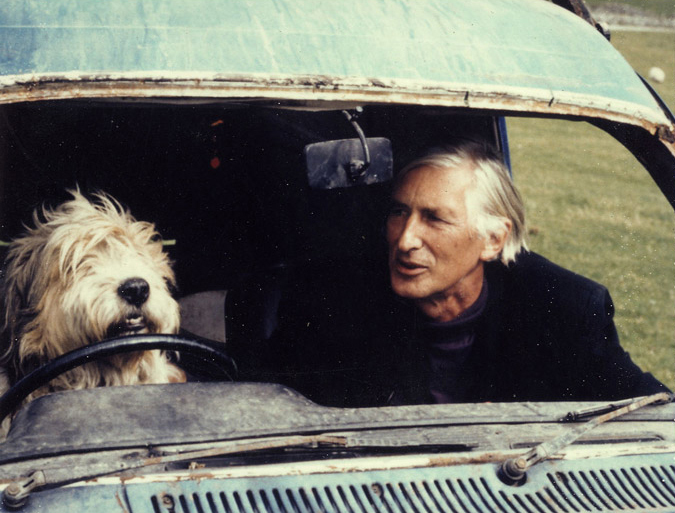 So without further anything, please enjoy the VKBMKLs interview with Tomi Ungerer, told in three parts over three days. Very fine. Very fine indeed. VKBMKL: The Mellops Go Flying was your first book for children. 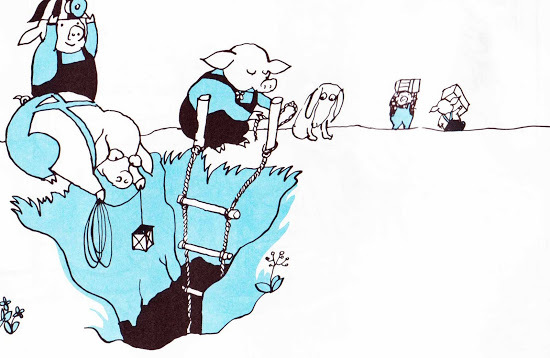 With the reissue of the Mellops books by Phaidon, do you remember where the idea for the pig characters first came from? TOMI: Well, I don’t really remember, I know I was just drawing a lot of pigs because in English I thought that we could do a lot of things with pigs like pigmy, Pygmalion, and so on, and I started doing those little characters, and then it turned into a book. When I came in ‘56 to America, there was a trunk of drawings, I already had a book about the Mellops, but it was too cruel to be published. They were caught by a butcher to be turned into sausages and things like that. But Ursula Nordstrom [publisher of Harper & Row] liked the pig family, she told me to conceive of another story and I just set to work. As for the name “Mellops”, well, in school we gave our teachers other names, I remember it was a name we gave to our history teacher. But where the word came from, I can’t remember. We must have been drunk and having some fun or something like that, you know. There was no harm getting drunk in high school in those days, so anyway, that started with the Mellops. VKBMKLs: In the case of The Beast of Monsieur Racine, there are all sorts of hidden, mad things going on within the pictures. Murdering hobos, bleeding pipes, bodies stuffed in trunks, and a faceless self-portrait. What exactly were you thinking when you cooked up that story? TOMI: I’ve always been literally a lover of the absurd. I think the absurd gives a new dimension to reality and even to common sense. And life, you know, on an everyday basis, is absurd, or may turn out to be absurd. There’s no reality without absurdity. And I think this should be shown to the children especially, if it enables them to make fun of the adults. The children are still free. They have a free imagination. They have the innocence it takes to be free. I think this should be encouraged, actually. Especially as my children’s books developed, I started putting more and more details, a lot of them being perfectly subversive. Children love jokes. Children love to make fun of things, and not only this, I would say that the more details you have, the more it develops a sense of curiosity. Knowledge would be in-existent without curiosity. So a child must always kind of look—what is the next detail, and most of the details are sometimes absurd. 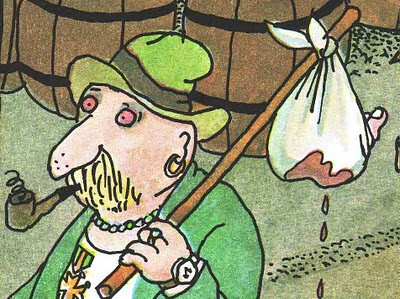 Well there’s one detail in Monsieur Racine where the hobo goes around with a bag and an extra bleeding foot in his satchel. People ask me what’s going on here, and I say, ‘This hobo does a lot of walking, just like if you have a car you have an extra tire. So the hobo needs an extra foot.’ But I must say that I made up that answer as the question was given to me, when I drew it I didn't think about it, I just let my imagination flow. VKBMKL: I was wondering how having a child changed your writing and drawing for children, and in particular how having a girl for a child changed your perspective on the world? TOMI: None whatsoever. 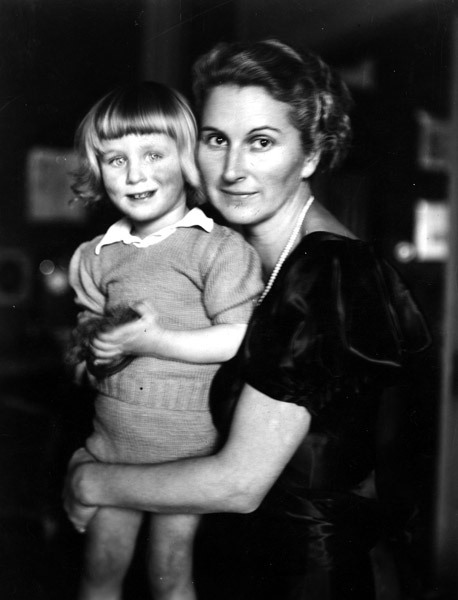 As I said, as a child what I went through with my mother’s affection, with my sister’s affection being all over me, you know with kisses and this and that, I really had my dosage of all that, and I must say that I didn’t have much physical contact with my daughter or my sons, even as babies. Mothers can allow themselves to something like this, I mean I have no time for these kind of things, so…I mean, not that I was distant, but I’ve seen so many of my friends who completely flipped over their daughter, I mean making themselves ridiculous, and I don’t think that’s very healthy at all. I think children should be treated as equals, and just simply be respected. They should be listened to, children have opinions, children have a sense of humor, and I know children…an adult should always be ready to answer the curious child. And this is to one of the reason I put so many details, so the children ask questions. And so this involves the parents, to give them an answer. Questioning is so important, but we don’t question children enough either. We should ask children questions all the time. Sometimes difficult ones to see what their answers are. It is what I do now in the French magazine called Philosophie Magazine, I answer children’s questions. But I tell you that it’s a wonderful challenge, a wonderful challenge. All photos courtesy of www.tomiungerer.com. Thanks so much for this! I'm a huge Tomi U fan as well. In fact I just reviewed Fog Island on my blog, The Cath in the Hat. How wonderful! I look forward to the next installments.